The rims are nothing special but are well made. Behind them there is supposed to be brake discs and calipers but they are ridiculously tiny. Still, they are there. Maisto gets extra bonus points for using a perforated mesh for the frond grille and not a solid piece. 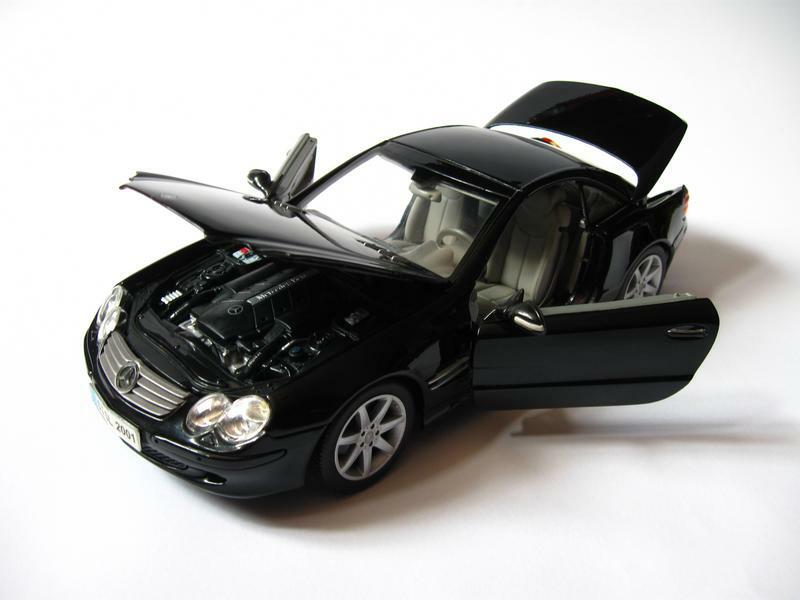 The model has opening doors, trunk and bonnet, although the doors are on dog-leg hinges. Not a big issue but it would be nicer to have a better imitation of the real thing. 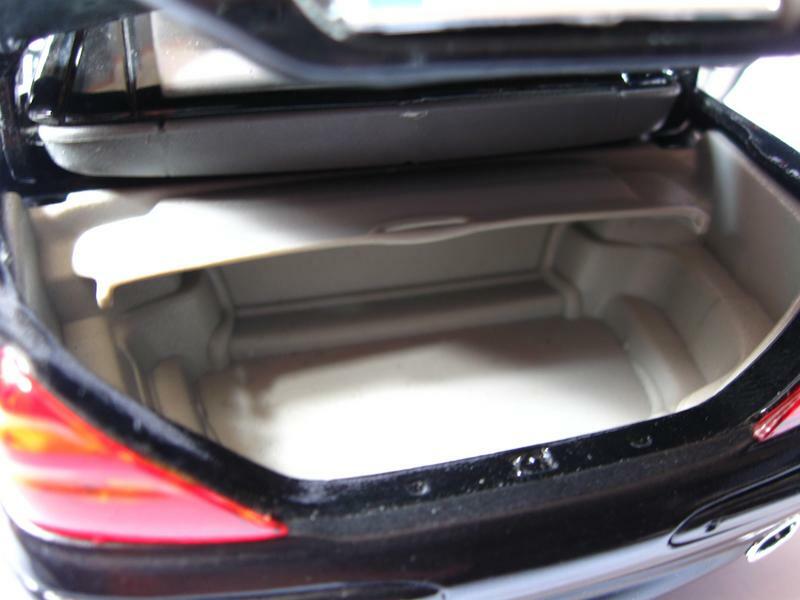 The trunk is well modeled with the extra cover to separate the roof from the luggage area. 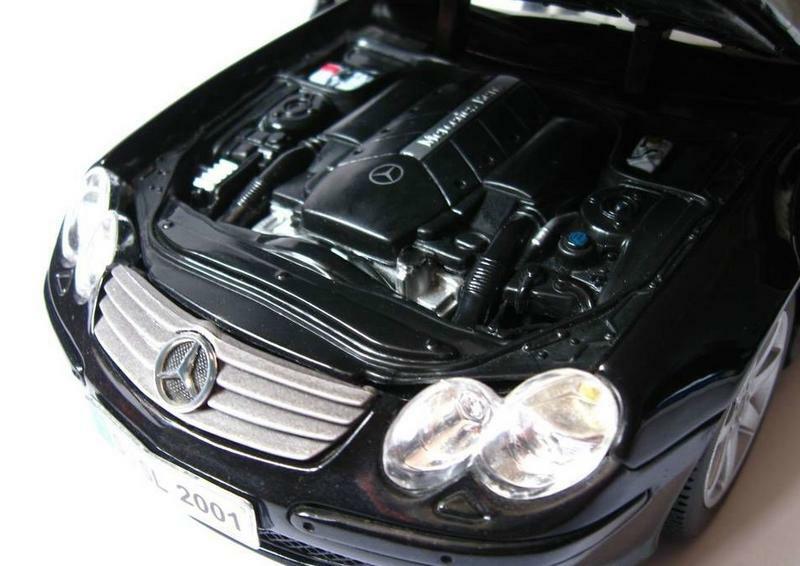 Meanwhile the engine bay is nothing special but still good for a budget model. Nicely detailed too. Inside things are even better. 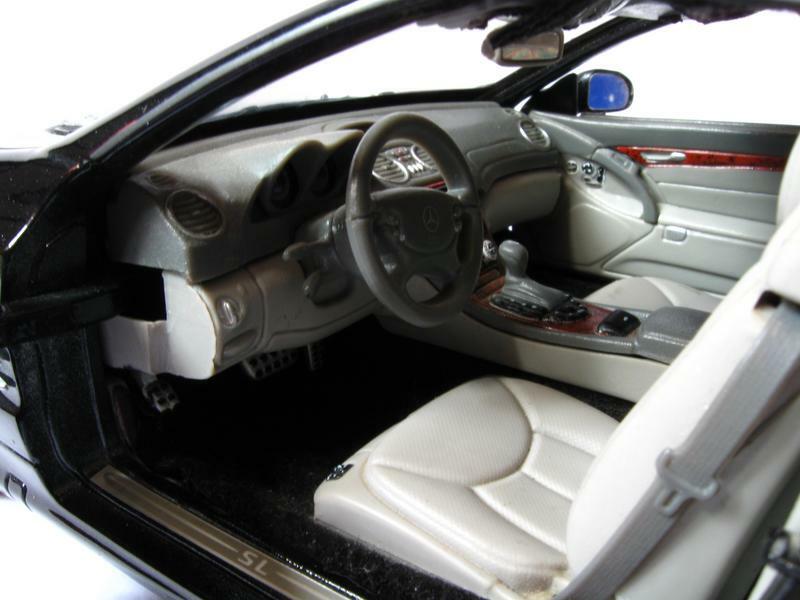 The seats are well modeled and even try to mimic the perforated leather used on the real car. 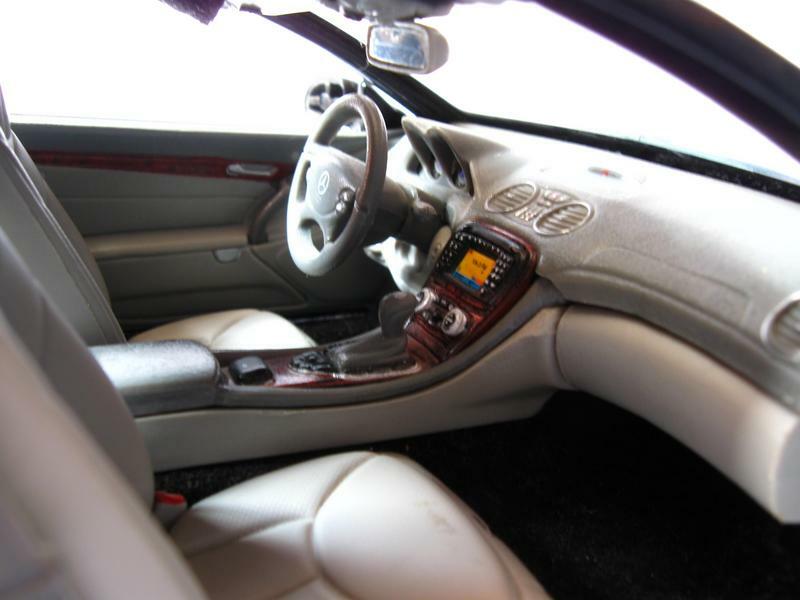 The center console is well made and all buttons are detailed. Nice job. You should know that the stock model has no carpeting. The one you see on the pictures is added by me later on. The dash itself is also well done as are the door panels. The grills for the air-conditioning could be better though. On the underside of the model Maisto have also sprinkled a nice amount of details. There is a full exhaust pipe system, complete with shielding. 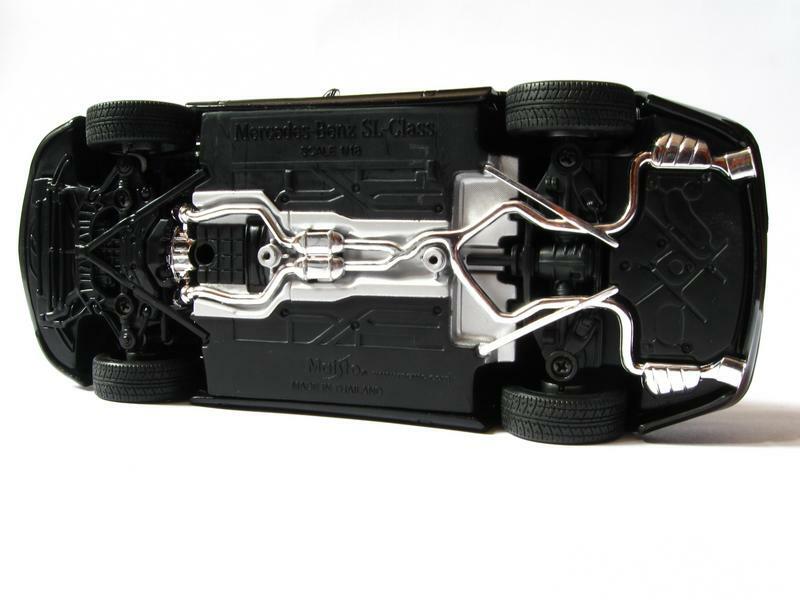 Various components of the suspension have also been added. 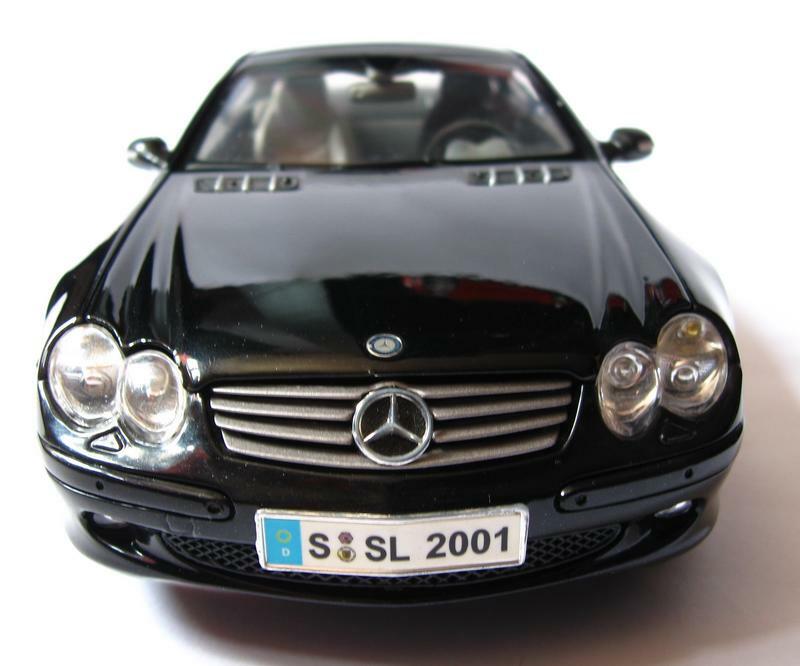 Overall the Maisto Mercedes-Benz SL500 is one very well made budget model. Actually it will sit great next to more expensive models as well. If you don’t turn the back of it towards you that is. It is a definite recommendation. I want to thank you for your time and for visiting us. Part one is here.